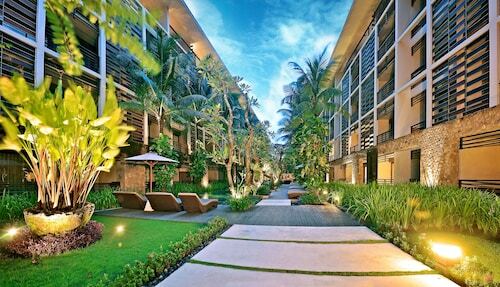 Stylish, relaxed Seminyak has the best of Bali, from uncrowded white-sand beaches to luxurious hotels and world-class fine dining. Grab a great deal on one of our Seminyak packages and discover why it is fast becoming tropical Bali's most fashionable holiday destination. 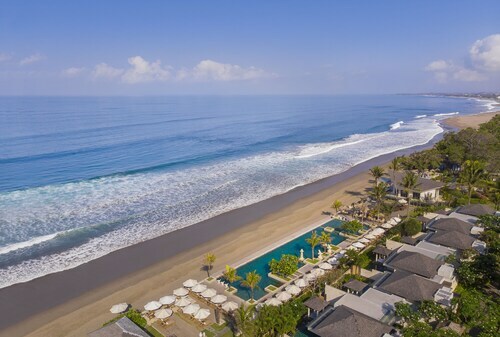 Seminyak holidays are all about you, whether it's some serious pampering at an exclusive all-day spa, lazing on the beach with a favourite book or surfing the warm waters off the island's south coast, no wetsuit required. Book a car in Seminyak, and you're right on the doorstep of everything else Bali has to offer. You can easily explore volcanoes so high they have their own weather systems or race down jungle rapids on a white-water rafting trip. Next, get to know the local culture by watching traditional Hindu ceremonies that date back centuries to the original Majapahit dynasty. Take a day trip to Ubud, Bali's artistic and literary hub, which hosts the international Ubud Writers and Readers Festival. It's also home to the Monkey Forest, famed for its cheeky inhabitants who are happy to drop in for a chat and photo opportunity, so make sure you bring your camera! 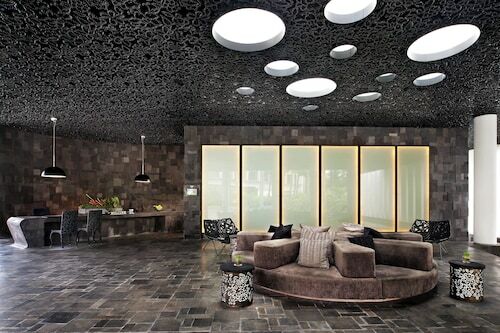 Seminyak is Bali's hippest neighbourhood, with the island's greatest collection of high-end designer boutiques. They are all within an easy hop of each other, making it simple to load up on one-of-a-kind local creations without breaking a sweat. You'll find several outlets stocking international labels and flagship stores for all the big-name surfwear brands. Local jewellery designers are also well represented, offering Bali-themed pieces you won't find anywhere else. When you're hungry, dining is a treat in Seminyak. The past decade or so has witnessed a boom in restaurants and cafes, so you’re sure to find something to fill your stomach. Plates come loaded with the best of Italian, Japanese, Spanish, Thai, Mexican and Indonesian cuisines. Food is life in Bali, and local dishes are richly spiced and flavoured—try a nasi campur mixed plate for a well-rounded and delicious introduction to some of the best. 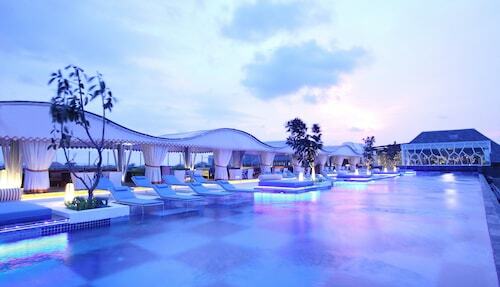 Seminyak is also home to the choicest spots to enjoy a cocktail or fine wine as the sun goes down. Let staff members bring your drink to you as you lounge on daybeds in tropical gardens or loll around in infinity-edge pools near the beach. Is all that food and relaxation making you jittery? Nights here are made for dancing, and many venues fly in international DJs to keep the vibe going into the small hours. A short taxi ride away and you'll be in raucous Kuta, where multilevel clubs pump the jams until dawn. Dancers, fire-breathing acts and pulsating beats combine for some legendary nights out. 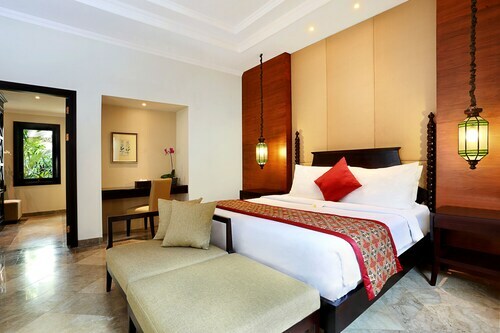 Hit up Wotif to discover which of our Seminyak package deals is right for you. We help travel arrangers custom-build packages in Seminyak to suit the occasion, whether it's a romantic retreat, family holiday or a party with friends. Use us to bundle flights and accommodation, and you'll save money for the fun stuff. 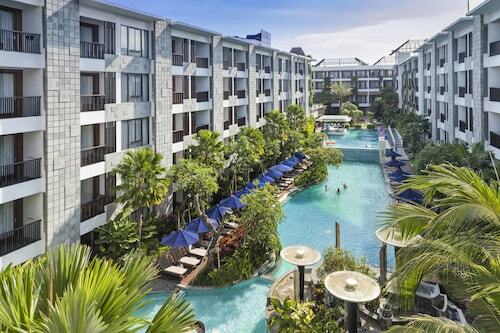 Check out our Seminyak Beach packages now, because it's Bali time! 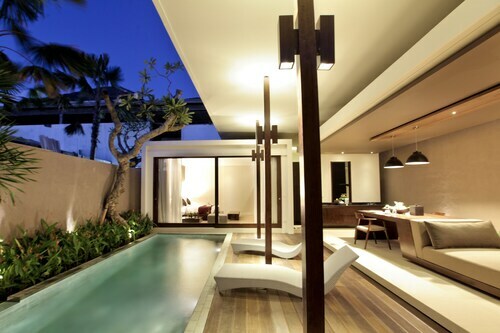 Book your perfect Seminyak holiday today. This place is very special we spent 5 nights here just my husband And I. It’s the perfect spot for couples. The service was impeccable. And the villas were very nice. Property was lovely and the staff were incredibly accommodating and kind. I wish the tanning area of the outside was not covered, and there are too many trees. Also bathroom is outdoors which is beautiful however needs a good clean of soapscum. Amazing resort and great service. Our room was beautiful and staff were fantastic! Huge thanks to Rika, Polly (Woobar where we spent most of our day) and AK at Fire! They made our Bali trip a one to remember.